There's no better feeling than making the game winning basket just as the buzzer sounds. 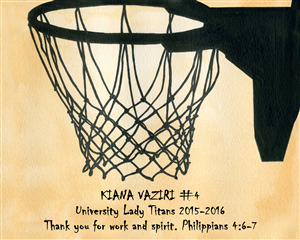 This inspirational basketball net watercolor print makes a great addition to any athlete's decor. It can also be personalized for award ceremonies. Great gift. Seniors loved it.